​Welcome to my Camping Lesson Planning Page. On this page you can find: links to preschool activities, book recommendations, suggested items to add to your learning spaces, and related Pre-K Printable fun products. 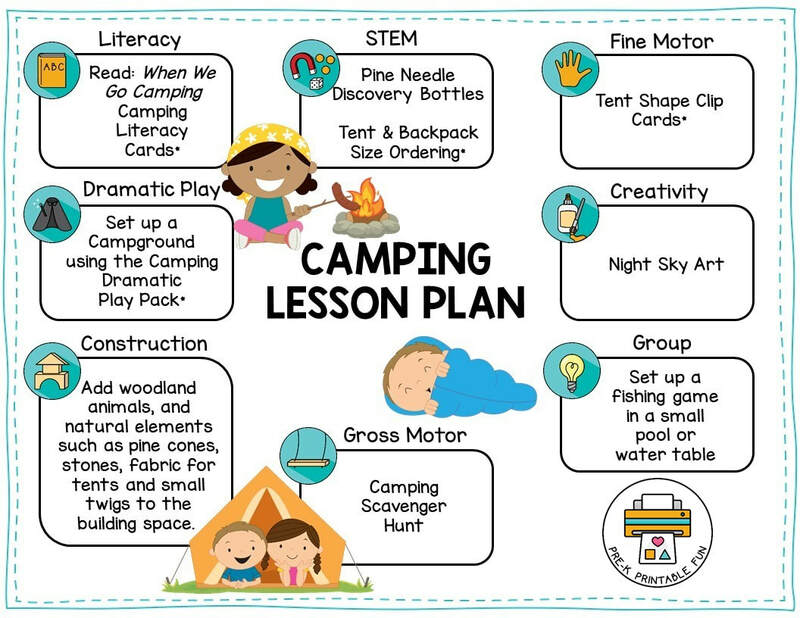 Print your free copy of this Preschool Camping Sample lesson plan! Set up an Indoor camping space. 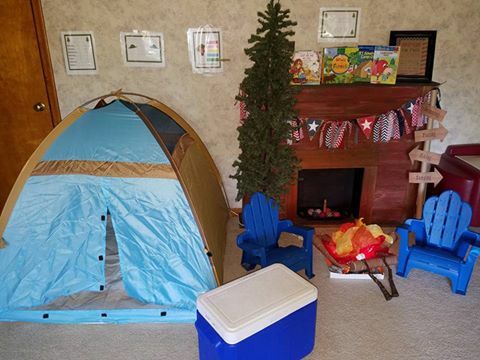 Add a tent, Camp Chairs, Pretend Trees, Sleeping Bags , Trees, Backpacks, Camping Pots and Pretend Foam Marshmallows. 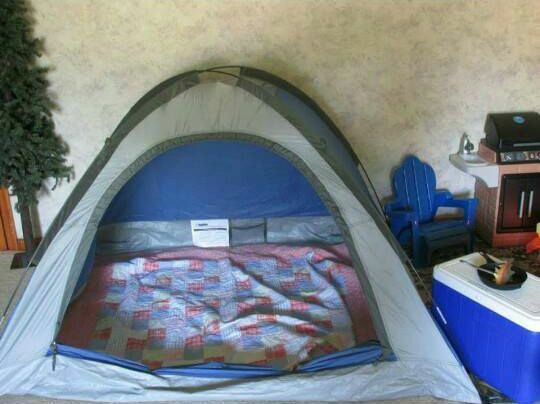 Here are some fun camping spaces from our FB Community Members. 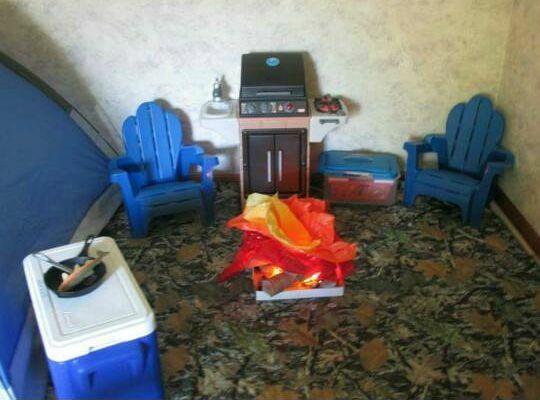 Here is a fun DIY for your camping space. Find out how to create this Lantern from Here we are Together. 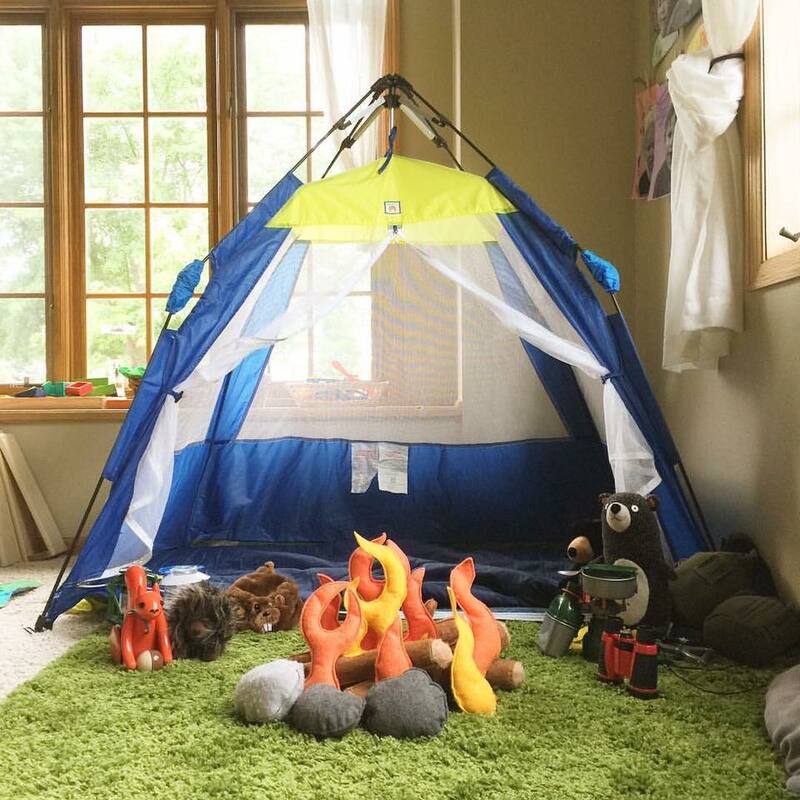 Add Pretend Trees, and Scraps of Fabric, Tape and Popsicle Sticks and Tape for building Tents. Add woodland animals, and natural elements such as pine cones, Stones and small twigs to the building space. Provide the children with Dark Fabric to practice creating a night time back drop. 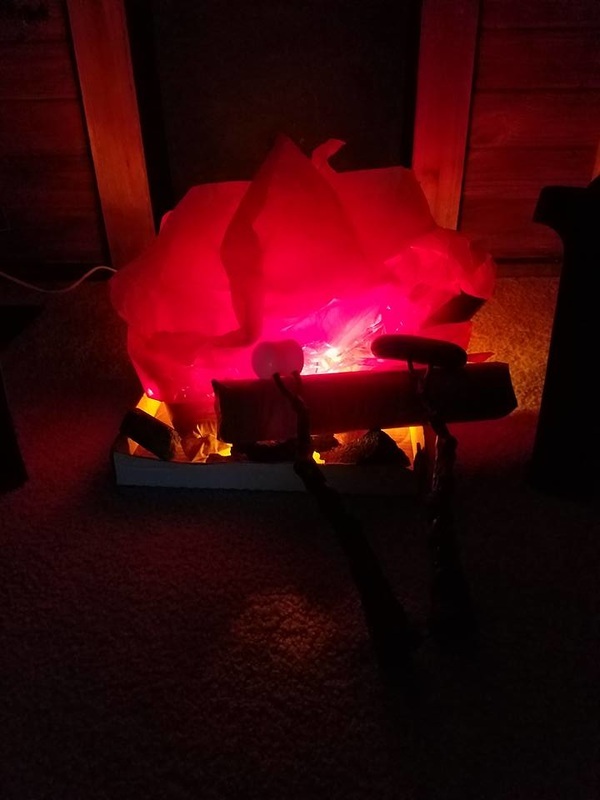 Small flashlights make a fun addition as well. You can also add a variety of small world camping sets to your space. 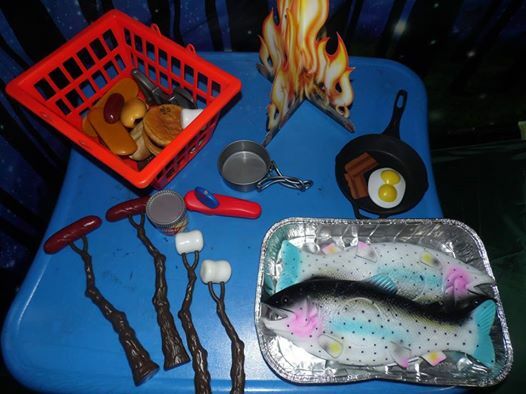 Be sure to check out this adorable camping inspired small world space was created by Fantastic Fun and Learning. Consider adding Leaf Rubbing Plates to your Science Space this week. If you didn't want to Buy them, the information on how to make these DIY Leaf Plates can be found on the 5 Orange Potatoes Blog. This is a great week for teaching about the Animals that come out at night. Check out this cute Nocturnal Animals Sensory Bin, from My Nearest and Dearest. Another fun Science activity this week is learning about Animal Tracks. Check out this Free Animal Tracks Printable Activity from Deceptively Educational. 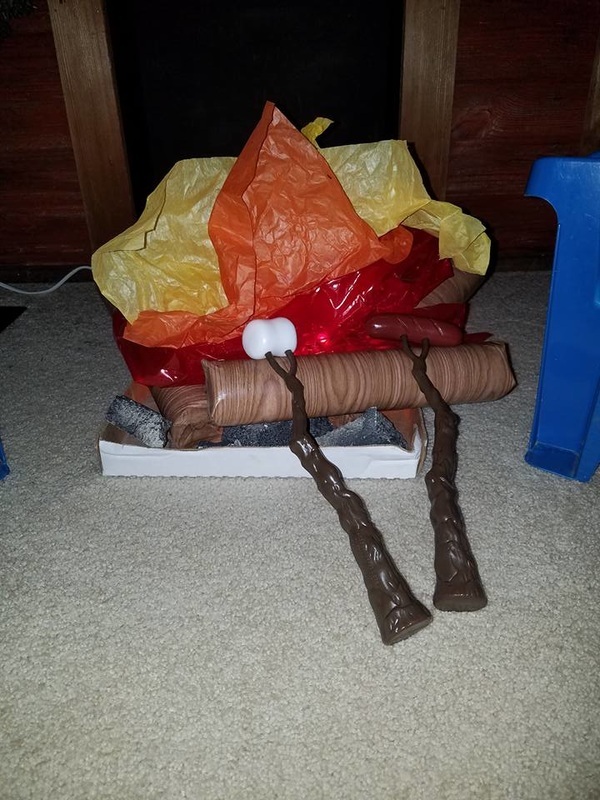 S'mores are a favorite camping treat, Erica of Erica's Educare Learning Center created this fun alternative S'more Trail Mix for her kids using: Honey Graham Cereal, Mini Marshmallows, and Chocolate Chips. This indoor S'more maker fun Hershey is another fun alternative! 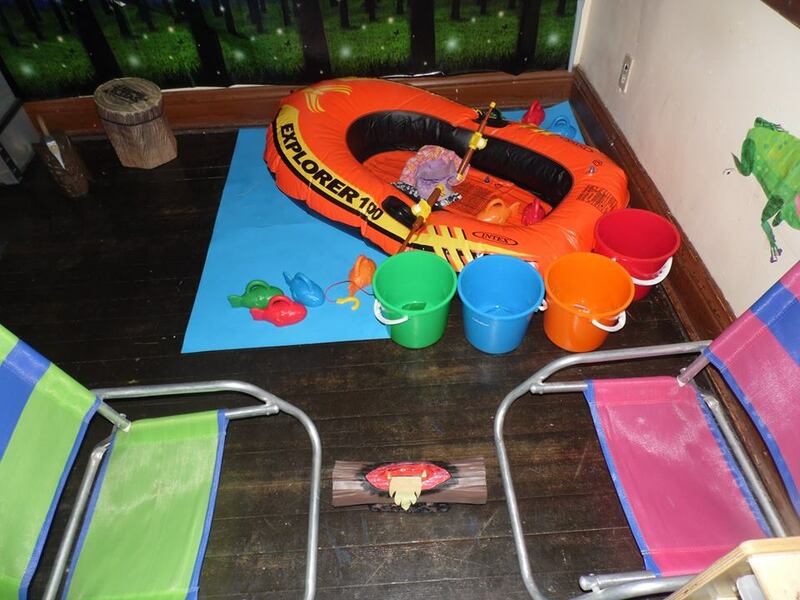 For more fun camping theme ideas follow me on Pinterest!